Last week Mrs Frith’s class visited the ‘mud kitchen’ and this week was the turn of Mrs Lock’s class. 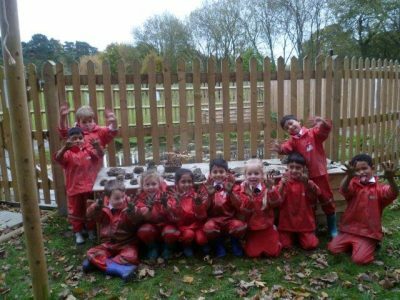 Mr Lloyd was very impressed that the children were straight into the mud to mould their animals and add features with natural materials. We got rather muddy and messy but had great fun! In our Maths we have been learning about positional language – next to/far/on top/left/right etc. We have placed our toys around the classroom in various positions for others to guess where they were, using appropriate maths language.